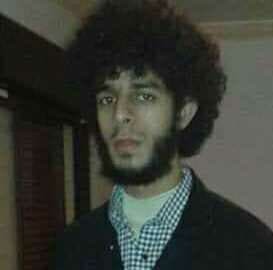 A member of the so-called Islamic State (IS) is reported to have been killed in Derna by members of the local Mujaideen Shura Council (DMSC). The exact circumstances of Mohamed Fathi Al-Jamayel’s death are unclear. One report says he blew himself up following a raid on an IS sleeper cell by the DMSC. However, it is understood he was shot dead. Pictures shared online appeared to show bullet wounds to his head. His death came just hours after he allegedly attempted to assassinate a senior DMSC commander, Moaz Tashani, by planting a bomb under his car outside his house yesterday afternoon. Tashani escaped with only minor injuries after leaving the car before it exploded, but was taken to hospital for a check-up. One report suggests that Jamayel was summarily shot after being captured. He is said to have joined IS in 2015 at the age of 21. When it fell into the hands of the mujahideen in June 2015, he left for the IS stronghold of Sirte but fled back to Derna when it was finally capytured by Bunyan Al-Marsous a year ago. Tashani, born in 1989, is part of the DMSC operations room against the Libyan National Army (LNA) currently laying siege to Derna. His family has a long history of militancy and fighting. The eldest brother Taher was killed in Afganistan in 2006 fighting against government forces and the US-led coalition. Another brother, Ghassan, died in Derna in 2014. Mahmoud, also a member of the DMSC, was killed fighting the LNA in west Derna in July 2015.